— Must pay $9,500 to learn sign language! to take classes at no cost. — Value of NTID bachelor’s degree? earn an average salary of $36,000 per year by the age of 50! story was printed in the Inside Higher Ed. 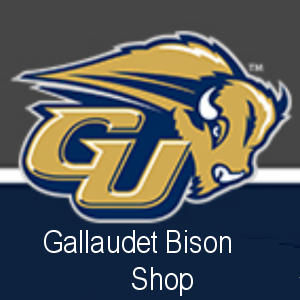 Gallaudet graduates? — Deaf kid punished for having the wrong name? Hunter Spanjer is a deaf kid, son of deaf parents in Nebraska. screamed, she was transferred to a different job. — A CI fund raising drive for nothing! is “not deaf enough” to get a CI. What to do with the money? The parents will give it to a “deaf enough” child for his CI. Seems we are having problems with entertainers trying to use fake-ASL in their acts. A Mark Nakhla video tried to mix ASL with the song “No Church in the Wild.” Mark says it is ASL, but the Deaf Community says it is sign nonsense. Only few weeks ago Johnny Depp and Natalie Portman made a huge mess of the signs they were trying. The NOAA Weather Radio is voice only but it could help the deaf! This radio tells hearing people of weather warnings – tornadoes, hurricanes, wildfires, etc. The voice is no help to the deaf – but it can be connected to an alerting signal device or a bed visbrator. And the deaf would know the there is a weather emergency. DeafDigest is not sure how it works, but the NOAA says it works. — Will a hidden CI lead to cheating in sports? 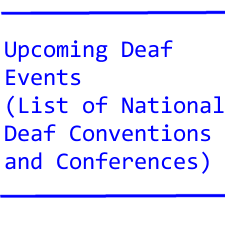 Last week’s DeafDigest mentioned an invisible CI, hidden in the user’s ear tube. Deaflympics has a strict rule that all athletes must take off their hearing aids and CI’s on the playing field. Will we see cheating among deaf athletes that hide their CI while in competition? The Deaf Way, held twice in Washington, DC in the past, showed everyone what is Deaf Culture. But at end of Deaf Way, all the exhibits and events disappeared. Well, A deaf group in England wants a “permanent” Deaf Way. They want to call it “Embassy to the world’s deaf community.” And it would be in Preston, Lancashire. Will it succeed? The project needs money for a big exhibit hall and staff. But the location is a big if – because it is not in London. — An interpreting assignment of 14,000 signed words! alone, but also admitted her shoulders gave her a lot of pain. take off, so he steered his plane to avoid an accident. supposed to watch out for take-off and landing. from a computer sign in Washington, DC. woman is Ashley Fiolek, the world’s #1 female motocross racer.